We have had an incredible response to our “Think you can fance?” competition! Last week’s entries were FANTASTIC and we have selected our two finalists who will head into the first week of “Fance Offs”. Each finalist has a week to prepare a 10 second video clip of their fance moves, and we will upload that here on the site for you to vote for your favourite. The finalist with the most votes after a week of voting will head into the final where they stand a chance of winning the HP Envy Ultrabook. 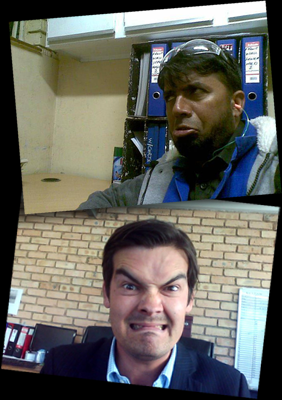 Congrats to Muhammad Islam with his move “MYFace dance” and Willie van der Schyf with his fance move “Teenage Mutant Ninja Turtle Grimace” – very cool fance moves and they each get an HP Slate 7. Enjoy guys! Keep those entries coming, we have five weeks left in the competition – and if your fance move didn’t make it to the final two last week, feel free to submit again this week for another chance. If you share your fance move photo on Facebook you will get more likes and more chances to win that super Slate 7!